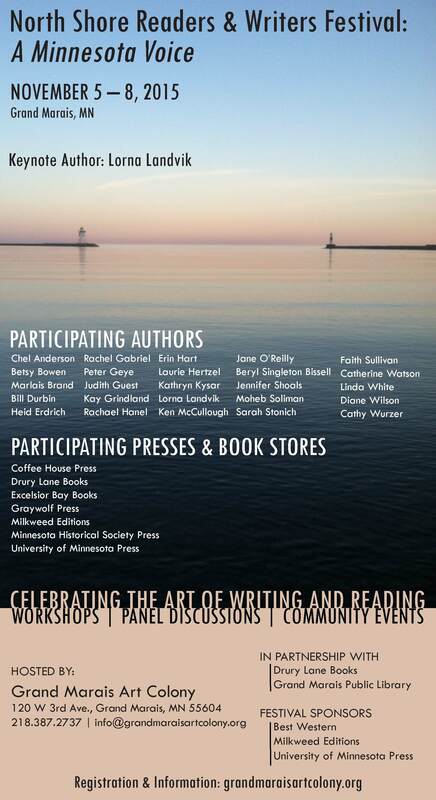 Come to the reading and writing festival in Grand Marais! I’m excited to be at the first North Shore Readers & Writers Festival held in gorgeous Grand Marais, Minnesota, Nov. 5-8. Take a look at that line-up! I’m honored to be in such incredible company: Lorna Landvik, Peter Geye, Laurie Hertzel, Kate Kysar, Faith Sullivan, Cathy Wurzer, etc. The list goes on! What’s great about this festival is that yes, it’s about writing, but it’s also for readers. You can attend workshops, readings, and panel discussions. You’ll find writing workshops in fiction, creative nonfiction, and poetry. If you’d rather read than write, consider sessions about book clubs or a literary history of the North Shore. I’ll be giving a workshop on memoir, along with a craft talk on the boundaries of creative nonfiction. I’d love to see you! 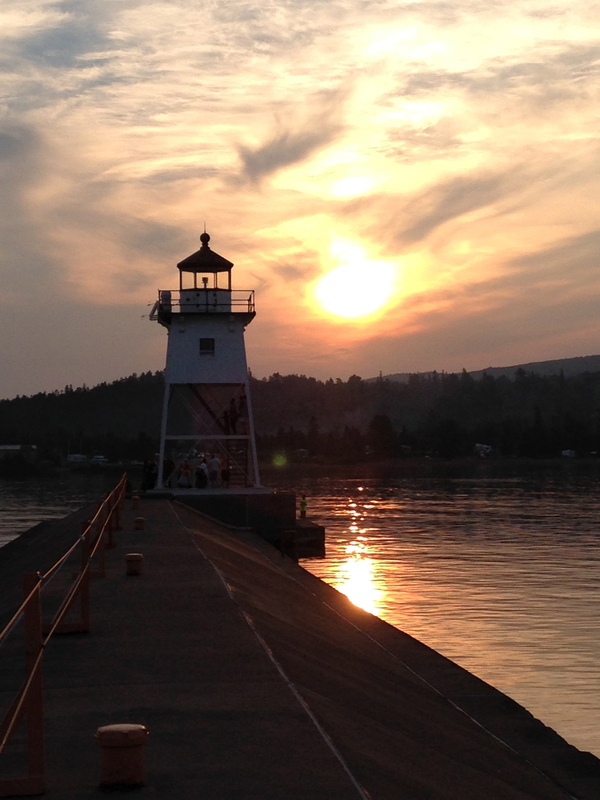 What you might see in Grand Marais. Photo by author. Check out this registration brochure for more information. I really cannot emphasize enough how wonderful the North Shore is in early November. Bring your jacket and long underwear and enjoy the crisp chill of Lake Superior while talking writing and reading! What could be more perfect?